Sandwiched between her previous album in 2010 and this latest release, Heather Lynne Horton was musically busy creating a wave as one-half of The Westies with husband Michael McDermott. 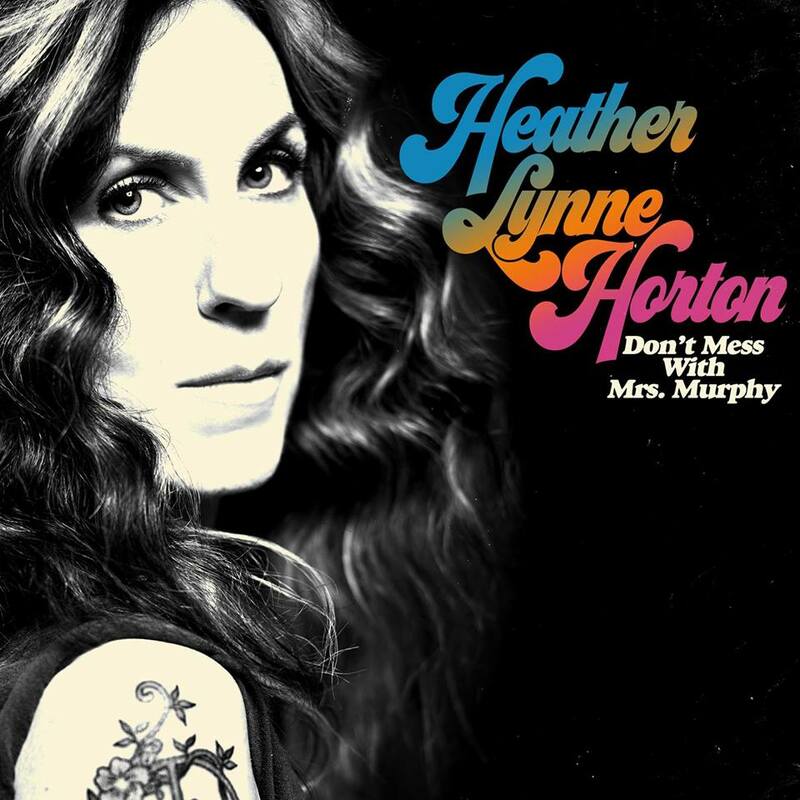 Hot on the heels of Michael branching out with a solo record, Heather has also chosen this route with the highly emotive DON’T MESS WITH MRS. MURPHY. On the back of its US bow earlier in the summer, the record will get a resurgent boost in the UK via the good folks at At The Helm Records. The bottom line is that the album is an absolute absorbing listen, presenting an aural delight from its atmospheric opening to a moving finale. Like so many successful records, the sound blends numerous sources to a superlative extent. Americana fans with an alternative edge are amongst the audience likely to tap into the vast reservoir of an album packed with top notch writing to provide the literary element. However, no serious music fan is precluded, whether they are prone to tearing away the layers of a record or are able to free themselves to let the music lead the way. Themes and motives are aplenty with this album. Taking a few moments to read Heather’s thoughts on the record or burying yourself in the lyrics, will fast track the complete experience, but not critical to appreciate the sum of the overall effect. This surmounts to an evocative piece of art, often mystique, frequently dark and forever enchanting. When you factor in a surprise cover as the eleventh track, the album weighs in at just short of the hour, but this extended feature never strays into filler territory. In fact, many listens to this album have lent towards tracks 3, 5, 8 and 10 being personal favourites, all aided by letting the record flow as opposed to cherry picking. The latter of these choices ‘I Wanna Die in My Sleep’ cracks the heart with each play. It rolls out as a majestic 7-minute narrative piece perfectly melding the spoken and sung word, all in a beautiful nostalgic haze. Think Shangri Las meets the ‘Trio’ as your starting point. Earlier in the record, the album really cranks up the gears with the third track ‘Did You Feel That’, a classy piece of ethereal choral delight ripe for radio play. This follows a couple of tracks that begin to form the record’s presence right from the off. Enchanting mesmeric opener ‘Murphy’s Law’ puts a capital ‘A’ in alternative, while ‘Wheelchair Man’ is a tenderer offering presenting an inspirational view from a different perspective. The two other standout candidates previously indicated include ‘Boomerang’- a mid-album track that goes a long way to capturing the wealth of Heather’s distinct vocal style – and ‘Coffee Cup’, which evolves into one of the record's most serene melodic moments. The latter is another in the 6-minute plus category, thus cementing a thought of this being an unhurried release. It’s a testimony to the strength of the album’s upper echelons that tracks like ‘Pauper Sky’ and ‘Flesh and Blood’ still linger in the shadows as time approached to gather some thoughts to share. The somewhat potentially controversial ‘FU’ does make a lyrical case to push the stronger tracks, while the warm velvet protective sentiments of ‘Save the Rain’ provides a reassuring moment as the album wheels into full flow. The bonus track sees Heather team up with Michael for a cover of ‘You’re the One That I Want’. The perfect example of how to enhance a song by pouring everything into the verses, while tempering the chorus. A fitting way to end a superb album. Essentially DON’T MESS WITH MRS MURPHY is album to be savoured alone. Its primed for a period of solitary solace and ensures the listener succumbs to a fascinating world. Heather Lynne Horton is the architect of an album that raises the standard of this year’s releases.